Andrew Rainnie, a screenwriter and script developer for film and television, takes a look at which games offer the best transition to film though story and character. 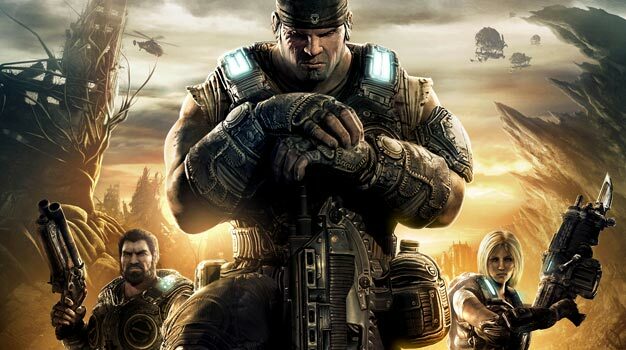 When will we see a great film adaptation of a video game? Soon, I hope. As the video game market has expanded, there have been numerous attempts, from Super Mario Bros to Doom. The Resident Evil franchise, while undeniably commercially successful, is a series of B-movies that has never fully captured the best of the franchise (although certainly its worst). Yet these are the early days. Before we enjoyed the great comic book adaptations of recent times, we endured almost two decades of tripe until producers started treating the source material with as much respect as a classic book adaptation. Now that games have stories of substance and feature rounded, entertaining characters, perhaps more of the essential quality that makes them great will be transferred into their celluloid counterparts. But which games offer the best chance of success in terms of character, story and visual prowess? – In this generation alone Naughty Dog have managed to make three games that play like movies. Each has been well deservedly received both critically and commercially, and yet they all followed a similar formula, one which could easily translate to the big screen. The story is essentially a modern day Indiana Jones, bringing with it a wealth of well developed characters; the cheeky heroic Nathan Drake, his wise sage mentor Sully, and love interest Elena. Although the film is currently ‘in development,’ it is by no means assured. It has already changed directorial hands, after comments by David O’Russell led many to believe he was aiming to make a film far removed from the game. You do not adapt a book and then chuck everything away but the name, so why do that with a game? Of course there would have to be small changes to accommodate a film’s structure, but the vast majority of the game’s story could be reused for the film, as could those of the sequels should a film studio wish to make a franchise. – Another game series with franchise potential. However, if I were to adapt Assassin’s Creed, I would forgo the first game and move onto the much more visceral sequel, incorporating elements from Altair’s journey into the film. 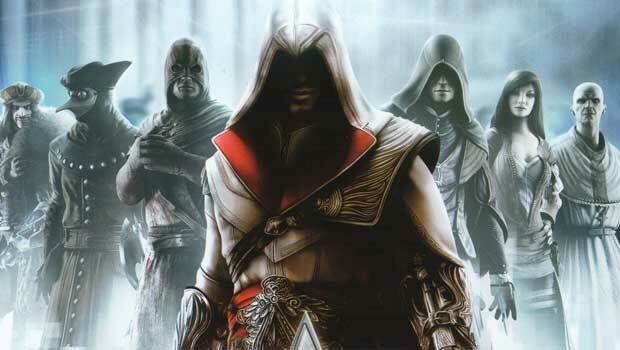 For example, we could see Desmond kidnapped by Abstergo, forced to live as Altair, all in the first act. The turning point would be him rescued by the modern day Assassins, who could reveal that Abstergo were analysing the wrong ancestor, and then we enter the world of Ezio Auditori. The main concept of memory embedded in DNA is not too complicated for a mass audience, while the Animus device is essentially a variation on The Matrix fused with Inception, both very profitable yet thought provoking films. – after the train-wreck that was Super Mario Bros, Nintendo have been understandably reluctant to sign away the film rights to any of their other franchises. However, if they ever did, Zelda would be top of the list. The game has all the elements of a classic fantasy film – a reluctant child hero, fantastical races, and epic landscapes. I single out The Ocarina of Time for two reasons. The first is that it is (in my opinion) the best game in the series, and therefore a solid starting place for a film. The second is that, according to Nintendo’s recently revealed official timeline, that game is right in the centre of the history, so if the film developed a franchise, the filmmakers could look forward and develop Majora’s Mask, Twilight Princess or Wind Waker, or later opt for a prequel with Skyward Sword. There have been many a rumour since then, with Steven Spielberg’s Dreamworks studio keen to obtain the keys to the franchise, and one can see why. In a similar way to Mass Effect, if it was executed properly it could lead to several films, and not just one trilogy. However, Halo would face one problem others would not; we never see the main character’s face. Master Chief, while an excellent game character, would translate poorly to the screen. As Bungie’s own Joseph Staten said, “Where the Master Chief doesn’t have a face…That’s hard to carry as a main character for an entire film. But you can certainly surround him with people who don’t have helmets on and you can see their faces.” Screenwriter Stuart Beattie believes that any Halo movie would have to be based on Eric Nylund’s Fall of Reach novel, as it sets up the characters amidst a very complex universe. However, he also wrote G.I. Joe: The Rise of Cobra. – Although apparently in development under the auspices of David Milch at Warner Bros, little has been heard since that announcement in early 2011. 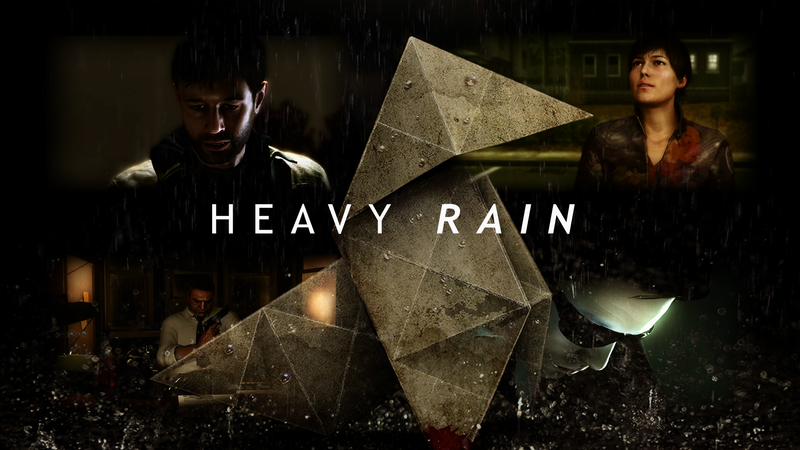 The game has all the hallmarks of a classic dark noir thriller; a race against time with a life hanging in the balance, psychological torment, a serial killer, and a number of twists during the investigation. It is essentially a more personal version of Seven. However, whereas the player had the option to play the game through multiple times and see how different choices affected the story and the conclusion, a film version would have to be definite, so it will be interesting to see which one Milch chooses to incorporate into his script, unless he works out a way to incorporate multiple endings, which would be a very neat trick. – The genre of the Western has seen a comeback in the last few years, from the classic mode (True Grit, 3:10 To Yuma) to the more outlandish (Cowboys & Aliens, Rango). With Quentin Tarantino currently filming Django Unchained, there will surely be others looking to make a film in this genre. Two years ago rumours circulated that Brad Pitt’s Plan B Productions were interested in Red Dead Redemption but since then there has been little movement, surprising given Rockstar’s game features the classic tropes with modern day twists, especially the dialogue. 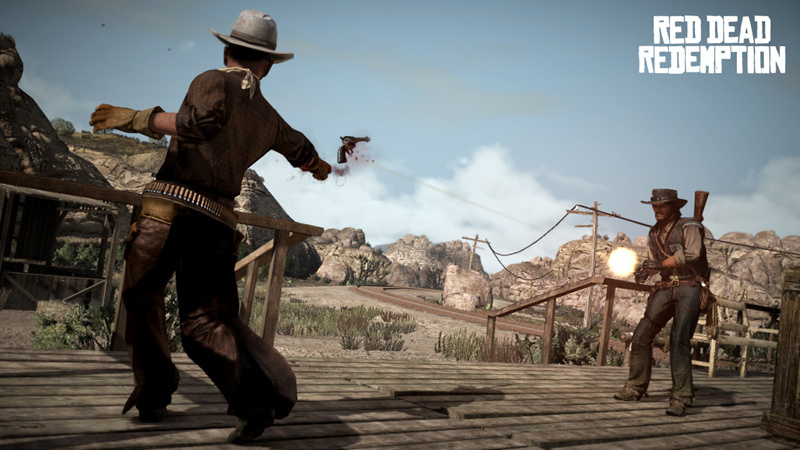 The main story of John Marston chasing down his old gang could certainly form the backbone of an engaging action western, while the character of Marston himself is a well rounded ball of contradiction and dimension. His personal stakes are woven within the main plot, and the ending makes the story all the more engaging. The only problem, due to the size and scope of the open world game, is having so much material to leave on the cutting room floor. – If only because my list is lacking in the zombie department. While The Walking Dead has surprised everyone by making a successful zombie TV show, cinematic offerings in the same genre have been lacking of late, with comedy efforts like Shawn Of The Dead and Zombieland faring far better than serious entries. Hopefully all that will change with the upcoming adaptation of Max Brook’s World War Z. But the world will always need zombie films, and Left 4 Dead has a great title. 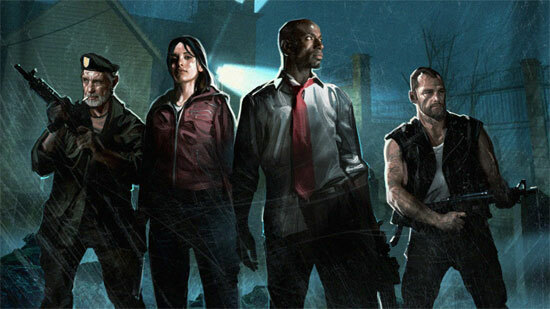 The story of the game would most likely have to be paired down due to time constraints, but the core idea of four survivors cutting their way through hordes of infected zombies is one that will never die. 11. God Of War – Simply because of the spate of recent movies of this type, especially Wrath of the Titans, which looks to have ripped of God Of War for much of its storyline and spectacle. 12. Borderlands – There is no doubt its quirky humour would translate onto the big screen, but cowboys in space might be a hard sell. Just ask Joss Whedon. 13. Bioshock – While there was a film in development with Gore Verbinski at the helm, it would come down to a simple question of budget versus age rating. 14. Metroid – With the exception of Metroid: Other M, the game has always featured heroine Samus Aran as a relative loner, which works well for single player games, but a film would require supporting cast and characters, which may turn this away from what makes Metroid great. 15. Starfox – Another Nintendo franchise, its ‘space setting + cute animals humanoids’ formula would no doubt be a hit with children and adult-kids around the globe, but the game franchise would most likely need to be reenergised with some new entries, and a fan base resurrected, before a film was considered. 16. L.A. Noire – A darker version of L.A. Confidential would certainly be welcome, but I omitted it because TNT is making the similarly titled L.A. Noir, being developed by Frank Darabont, who brought us AMC’s The Walking Dead. 17. Darksiders – A critical favourite whose main character of War could possibly offer one of the best anti-heroes seen on a cinema screen, but it would likely lose a lot in translation due to budgetary constraints. 18. Monkey Island – Because the Pirates of the Caribbean franchise is flogging a dead horse, there needs to be a new pirate film. However, due to the large price tag of the aforementioned series, this would be an uphill struggle, although its quirky humour would be great to see on screen. I would suggest Aardman Animation make it, had they not just released the similarly daft Pirates! In an Adventure with Scientists! 20. I shall leave this last entry empty for the readers. I have no doubt overlooked or missed several games that you believe would make great films, so let me hear them. As a screenwriter, I often challenge myself to do adaptation exercises by writing treatments for other material, and I have one for most of my top ten, but if you have any further suggestions, let me know.